This is a concept worth repeating. One I first wrote about three years ago when the juxtaposition of Thanksgiving and Christmas struck me as absurd the way our culture celebrates. I'd love to hear what you think. Just as sure as the leaves change color and fall off the trees. And then it is all undone in December. Facebook friends begin using #30daysofthanksgiving hashtags and talk about a Thanksgiving Challenge. At churches and in homes paper turkeys and trees boast of all the things for which we are thankful. But in December we begin to make lists--mental, written, or on Amazon--of the things we want. Does that strike you as incongruous? 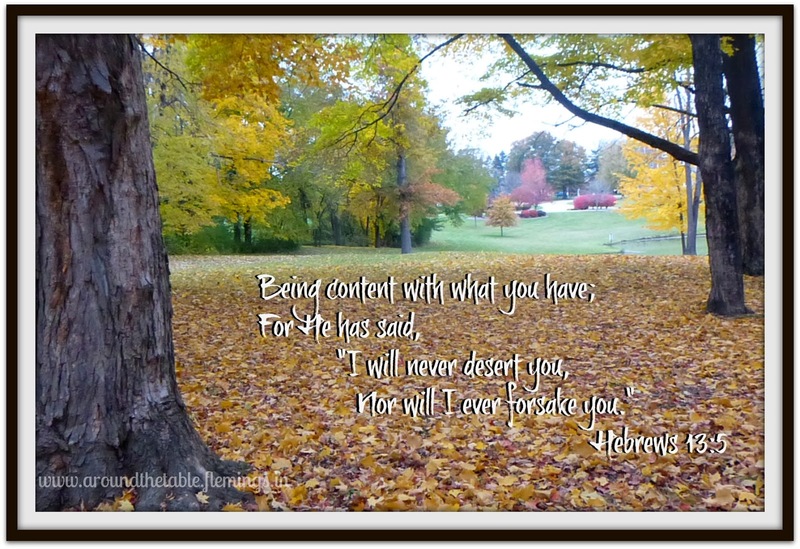 I did it with my kids every year, but a couple of years ago I was asked to speak to some college girls on "contentment" and it gave me a whole new perspective on thankfulness. The world thinks we'll be content if we have a little bit more. Or if we learn to want a little bit less. In other words: God is enough. How can we teach our children this? I am not sure I succeeded with being the one who taught this to my children. I'm not sure I have come to truly believe this in my own life. But I'm working on it. I'll give you a few of my ideas of how we can teach this to our children, but I would love to hear from you and know how you are working on this. Please let me know. Be an example. Are you someone who is always talking about wanting the newest, the better, the improved? Or do you exhibit contentment? What do you talk about? Talk about contentment. 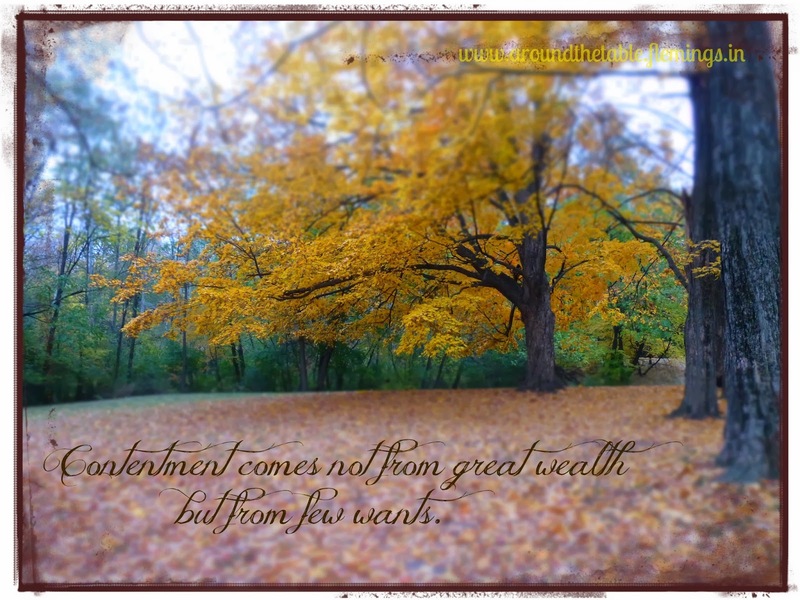 If you look online you will find all kinds of quotes about contentment. Read one to your kids each night at dinner and ask if they think it's true. Is this is a clever statement or the path to contentment? Read what the Bible says. Look at the verses I have mentioned here and others. 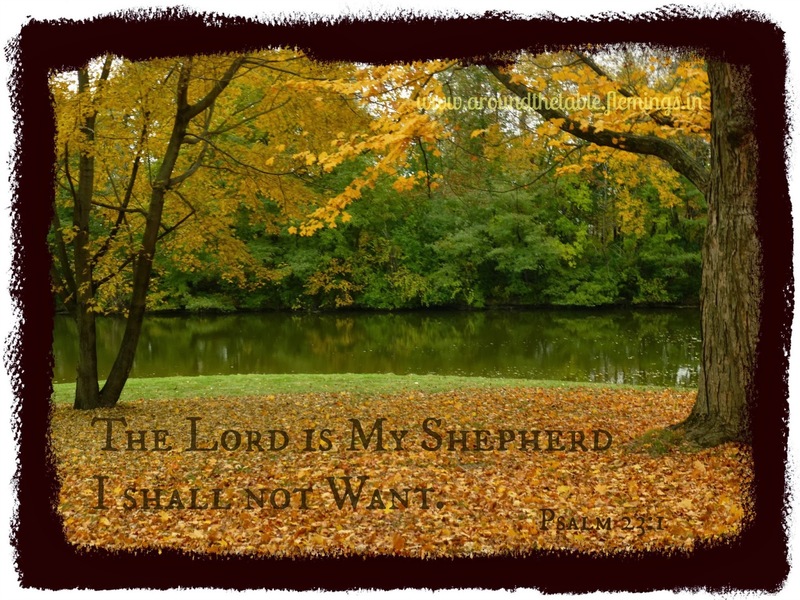 What does the Bible say is the basis for a Christian to be content? Ask who they can think of in the Bible that lived contentedly...or didn't. Look for real life examples. Talk about people who are living life content with having God in their lives. Ask your children, "What would true contentment look like in your life?" Be thankful. That year I challenged the college girls and myself to not just list things they are thankful for, but start their thanksgivings with "I'm thankful for God's presence in my life because..."
Leave me a comment and let me know your ideas for living and teaching true contentment. P.S. I took these photos a several years ago while on a "leaf crunching" walk with my youngest daughter when she was a college sophomore. Today she is a college graduate working at her first full time job and serving in many ways at our local church. Her desire is to go overseas to serve God. Do you like this blog? Would you please consider sharing it with a friend (or friends!) who you think it would be an encouragement to as well? 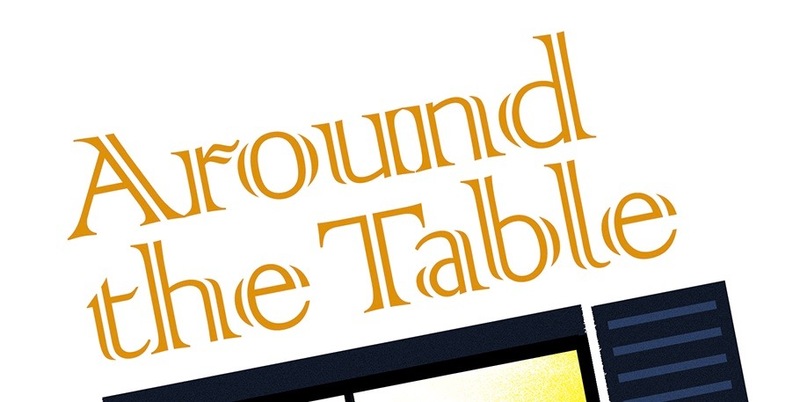 To never miss a post, *like* the Around the Table Blog Facebook page. Then share it on FB! A blogging friend has a few items in her store that might be of interest to you. 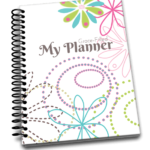 This planner is one. Just click on the picture to see what else is available. I always think it's a bit nuts the way we (as a society) go crazy on Black Friday (or worse on Thanksgiving itself) right after saying how thankful we were for what we had.